Bullet journalling is a popular concept now. Be creative with your personal information system! Free yourself from the tyranny of electronics! My ADHD brain said, “Oooh! Something new and shiny!” So I bought myself a beautiful journal and expensive pens, and started in. Fortunately, the experiment didn’t last too long. Bullet journalling works on the same principles as the old Franklin-Covey paper system I was taught in the 80’s—and the principles have probably been around a lot longer than that. Write things down on they day they happen, or are supposed to happen. Write an index for them every month. Refer back to related things as you write. They work for many people—but not for me. Paper doesn’t beep, you see. Paper is cool, it’s sensuous, and I can spend lots of time and money finding just the right journal and the perfect set of pens for my stuff. I’d love to handwrite all my organisational notes free-form on paper, but… I have to have an alarm set to remind me to update them or look at them. 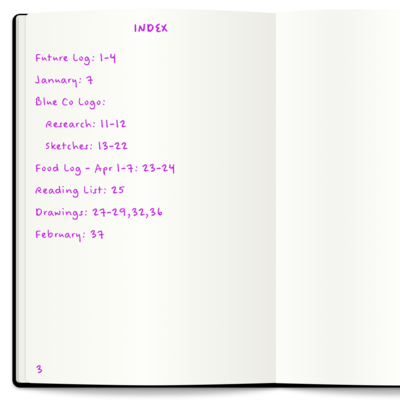 And I can’t find things that I need as reference, because I can’t remember what category I filed them under or when they happened, so I have to search all the index pages, and then all the other pages, too. I can scan them into Evernote to make them searchable, which begs the question: Why bother with paper at all? I do better with creating a structure that’s both external and automated, so that once I decide to do a thing and get it into my system, it periodically punches me in the face. Eventually, it will get done, or I decide not do to it, and delete it. Meanwhile I have rewards (via Habitica) and punishments (via Beeminder) built-in to help me keep on track. So no, no elaborate paper tracking systems for me—at least not until they make paper that beeps.